PhD, graduated in 2017. Virginia Pravia is a Researcher in the Institute for Agricultural Research of Uruguay (INIA). Virginia's work addressed the sustainability of crop-pasture systems and included modeling and stable isotope work to trace both nitrogen and carbon cycling in soils. Her PhD demonstrated that carbon saturation can explain variations in carbon retention efficiency in soils. PhD, graduated in 2015. 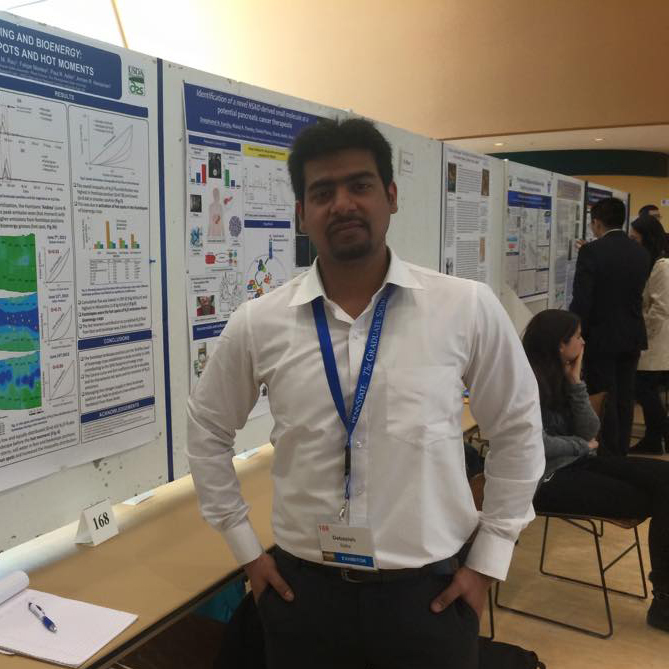 Debasish Saha was a Soils major advised by Armen Kemanian and co-advised by Jason Kaye (Biogeochemistry Dual Title program). Debasish focused on landscape control of nitrous oxide emission in energy crops (PhD), and organic agriculture (Penn State postdoc). During his time at Penn State Debasish won multiple awards. He is currently a post-doctoral researcher at KBS, MSU (P. Robertson Lab). PhD, graduated in 2015. Charlie White was a Soils major advised by Jason Kaye and co-advised by Armen Kemanian (Biogeochemistry Dual Title program). A scientist with a broad background, Charlie has published original work on modeling the coupled carbon and nitrogen cycling with particular consideration to soil organic mater and cover crops. White is currently Assistant Professor and Extension Specialist in Soil Fertility and Nutrient Management in the Department of Plant Science at Penn State. PhD, graduated in 2014. Sebastian is a junior Faculty at the University in Uruguay and Chief Agronomist of one of the largest agricultural producers' association in Uruguay. Sebastian published ground breaking work on soil carbon cycling in no-till system in temperate South America. PhD, graduated in 2015. Gustavo focuses now on applications of models and decision support systems in agriculture in the private sector, with the aim of developing sustainable practices. MSc, graduated in 2015. After two productive years as Fulbright Fellow in our lab, Maria Laura is now preparing manuscripts emerging from her research in carbon and water fluxes in annual crops and woody perennial systems. She currently holds a position as Junior Faculty in Agricultural Chemistry in the Department of Agricultural Ciences of the San Luis University in Argentina (Universidad Nacional de San Luis).